On the day that Peter Costello is announced as Chairman at Nine the TCN studios have been hit by a big power blackout. It comes just days after the lights flickered during Peter Overton’s 6pm News earlier this week (it was a sign…). 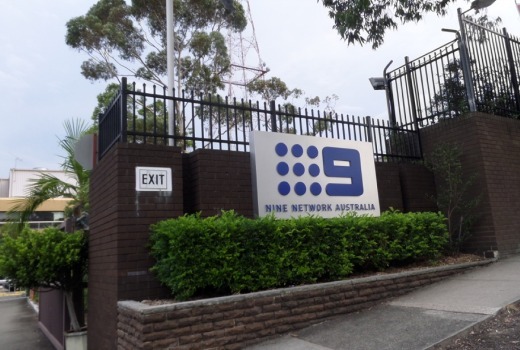 As a result Nine has been unable to broadcast is 3pm Nine News Now, substituting with a replay of The Farmer Wants a Wife. The 4pm News will be broadcast from QTQ Brisbane. Power is expected to be restored in time for the 6pm News, possibly with a former treasurer pedalling madly in the background. I wonder if Peter Costello is going to anounce an efficiancy review of Nine. See what happens when you keep hanging up on the automated phone calls from Energy Australia chasing up late payments? The generator system is getting old in the teeth at TCN, and has to be running before any kind of mains break to avoid major meltdown. The studios are mostly not running on UPS. Not to mention, there are not that many people left at TCN that know how to get the station back up to speed in time anymore, including getting studios back on-line quickly. Most of the traditional broadcast techs were let go years ago, replaced by much cheaper IT peoples now. I believe it may have been suburbs affected by the heat not just TCN. I don’t miss having to walk around the entire studio complex once a week after the generator test checking the clocks against a timepiece in my hand. Even though the generator was synched to the mains prior to switchover an hour is a long time on a mechanical speed governor. No one really noticed they were off the air. We used to run the generator every Sunday morning when I was at TCN9. It wouldn’t power everything in the entire station but would power the essentials. When I was on school holidays in Taree NSW in January 1975 there was a power strike and blackouts sometimes three times a day. The local radio station 2RE stayed on air throughout and had their own generators. If a country radio station in the 1970s could broadcast throughout blackouts why can’t Channel Nine in the 21st Century? I am mildly confused as they have a backup generator for just that purpose…. maybe the work experience kid just wasn’t paying attention that day….